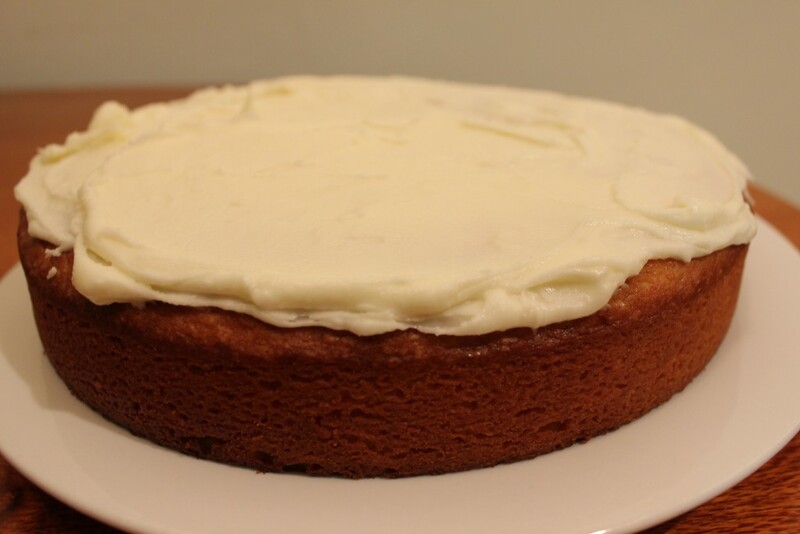 I make this lemon cake when I need a sweet treat that uses one bowl and takes no time to make. Most of the ingredients I have on hand and if I don’t, I have made substitutions with equal success. Vegetable or rice bran oil, even a smidge of olive oil in a pinch. Yoghurt, buttermilk, sour cream, smidge of milk to spin it out – totally fine! One bowl means hardly any washing up, so there really aren’t any excuses not to make it! The crumb is moist and light, with a sharp lemon tang balanced with some sweetness. The cake can be served with or without icing but I figure if I am going to make a cake I may as well ice it. It is a treat after all! Slices of this cake also freeze well and can be easily defrosted on the bench or in the microwave when you need a bit of happiness. This recipe is by Donna Hay, the queen of cakes. Preheat oven to 180C. Grease a round cake tin, or pull your silicone cake tin triumphantly out of the cupboard. Place all your wet ingredients and sugar in a bowl and whisk until combined. Sift over the flour and whisk again until smooth. Pour batter into the cake tin and bake for about 30 minutes or until a skewer inserted into the middle still has a couple of crumbs sticking to it. How to make a cake in 40 minutes. You’re welcome. Try to keep the troops away from the cake until it has cooled enough for you to ice. My basic icing is about 25g butter slightly melted, with about 1.5 cups of icing sugar and enough lemon juice to make a nice thick icing. I keep adding either icing sugar or lemon juice until I have enough icing. Not scientific, but effective!